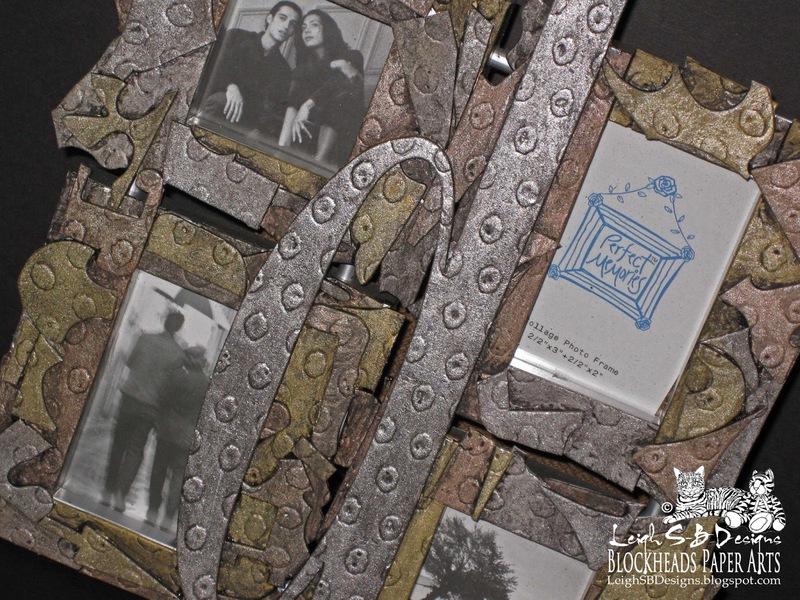 Today I'm sharing an Industrial Grunge style photo frame I've created for Blockheads Paper Arts. 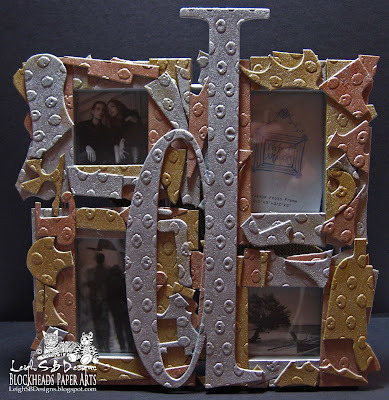 The Blockheads team are featuring Grungeboard this month so I went with a faux scrap metal look using scraps of Grungeboard and metallic Distress Stains. This is what the photo frame looked like originally. 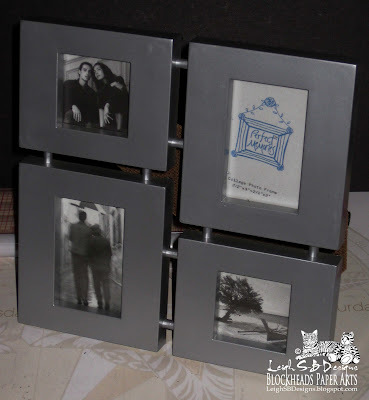 I've got a few in different colours so I used the one with a metallic silver finish to begin with. Once all the pieces were attached I added the large letter D and dimpled the centers of all the embossed dots on the letter to resemble rivets. 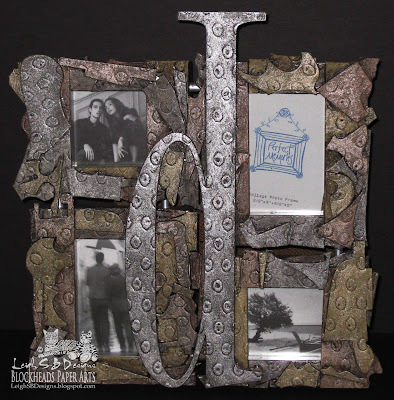 The photos above show the frame with all the pieces treated with the metallic Distress Stains before I antiqued it. 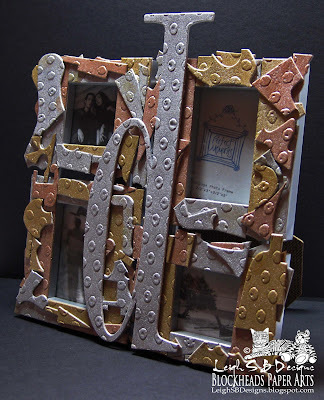 I wanted an Industrial Grunge look so I painted everything with Delta Ceramcoat black Antiquing Gel to instantly age the frame and give it an oily grimey look. Allow the gel to puddle in all the nooks and crevices and wipe the excess off the surface of the pieces with paper towel. Once dry I brushed more metallic Distress Stains onto the embossed areas to bring out more of the shine. Both work equally well, which look do you prefer? 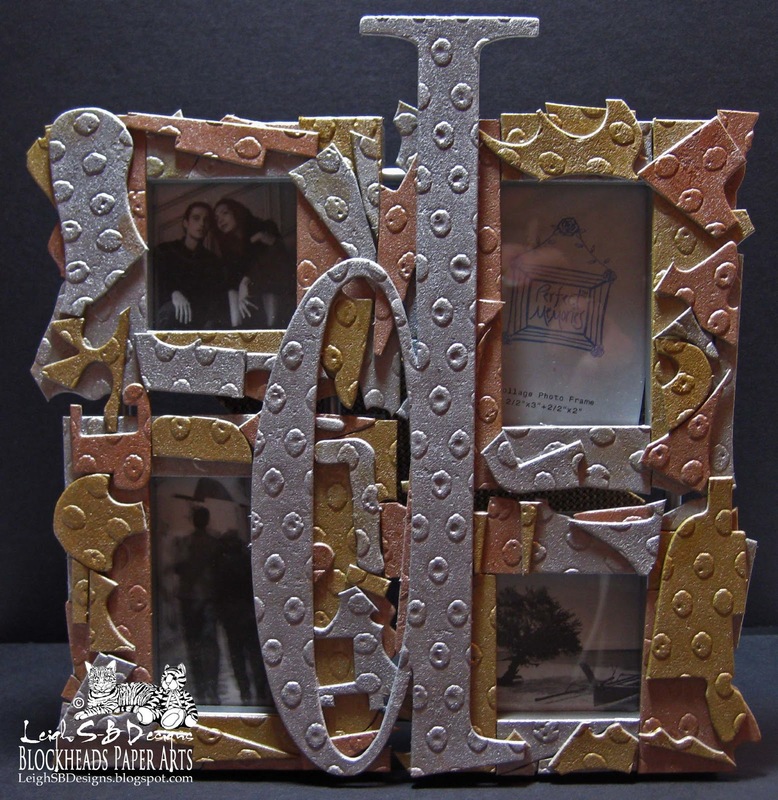 Stop by the Blockheads blog for more Grungeboard projects by my fellow team mates! 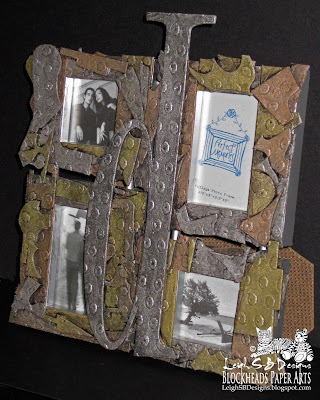 wow that is amazing I just love what you have created here - your Blog is just such an inspiration ! Thanks Trisha!!!! Sad I missed entering the Unruly Paper Arts challenge...bummer! oh wow this is so cool! yep gotta get stains now! You're welcome, glad you like it ;0) I can't wait to see what you come up with!